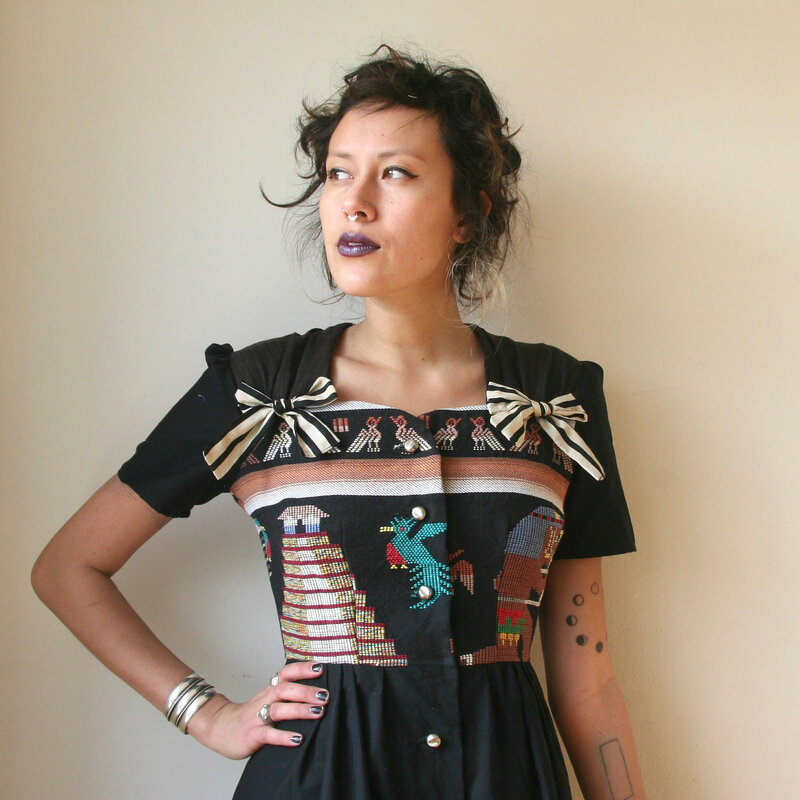 I guess I’ve been feeling more of a badass since my last post about designer Brooke Fung, because I’ve been looking for things that pack some punch and express the little indígena in me. In grad school, I’ve learned so much about the struggles of los aztecas, mayas e incas and I’ve become somewhat fascinated with how they have influenced designers like Judith from Rusty Cuts to this day. 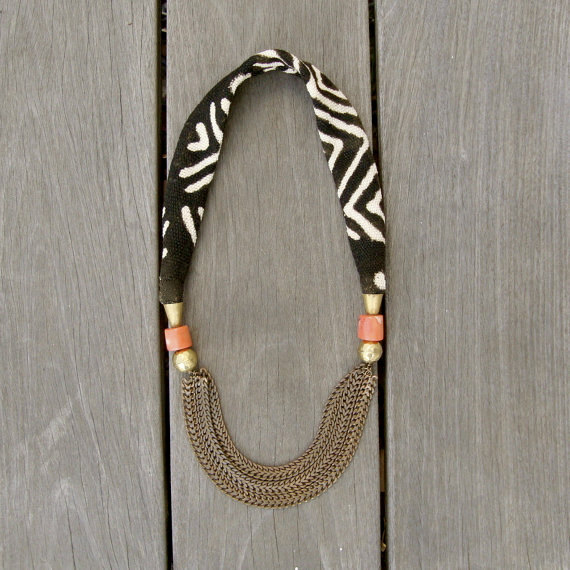 Even jewelry designers like Grace of MamaSheaShea are influenced by some sort of tribal fever. Grace calls her trendy pieces “cultural collages” that pairs the rough with the refined. My inner badass would totally rock these with a clean, preppy peplum and a leather jacket. 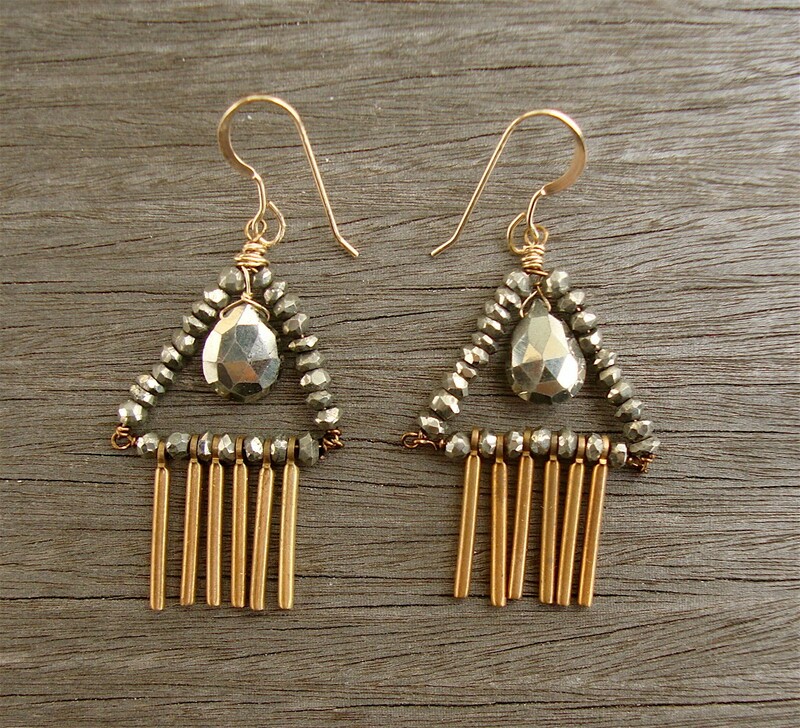 These mixed metal trapeze earrings were also designed by Grace. Her idea of pairing the natural with the industrial isn’t something I find surprising. It’s what I experience every day. I like to think that I am a child of both the rough and refined – a confusing, but relatable blend of indígena and assimilated island-girl-wannabe-badass.